Providers of Pest Control in Sacramento County, Placer County, and El Dorado County since 1994. We provide the most effective and affordable pest control in Sacramento and our service areas which include Placer County, Sacramento County and El Dorado County. Pest Control Sacramento Company Specialized Pest Patrol provides safe affordable pest control services. 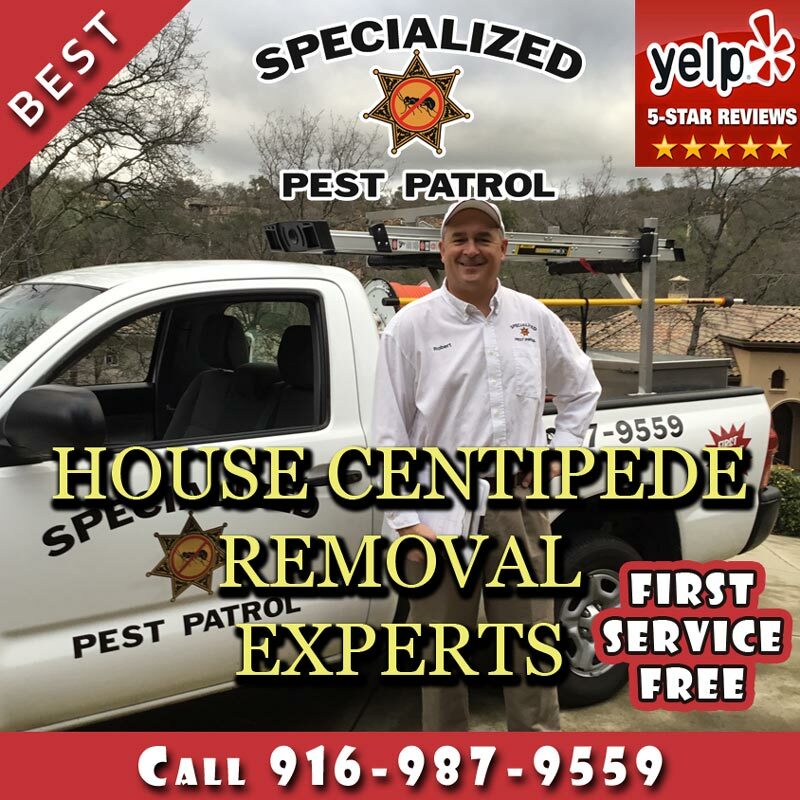 Specialized Pest Patrol, the leading Pest Control Sacramento CA company has some of the best pest control reviews in the area. We’re the best rated Sacramento Pest Control Company of 2018 . Specialized Pest Patrol is a locally owned and operated company serving Sacramento which is part of our Sacramento County Pest Control service area! First time customers in Sacramento, CA can get their first service free of our highly effective pest control! We’re highly-rated with amazing reviews online, our Structural Pest Control Board License is #12145 and our Qualified Pesticide Applicator License is #126071. We’re who you can trust for your pest control needs as we’re effective, affordable, licensed, bonded, have liability insurance and workers compensation insurance provided to our pest control technicians. Pest Control Sacramento County Company Specialized Pest Patrol is the leading provider of pest control with affordable pricing, eco-safe products and free pest inspections. We protect your home and business. We have Expert Pest Control Technicians serving Sacramento, CA for over 2 decades. We give free estimates and free pest control service to first time customers! 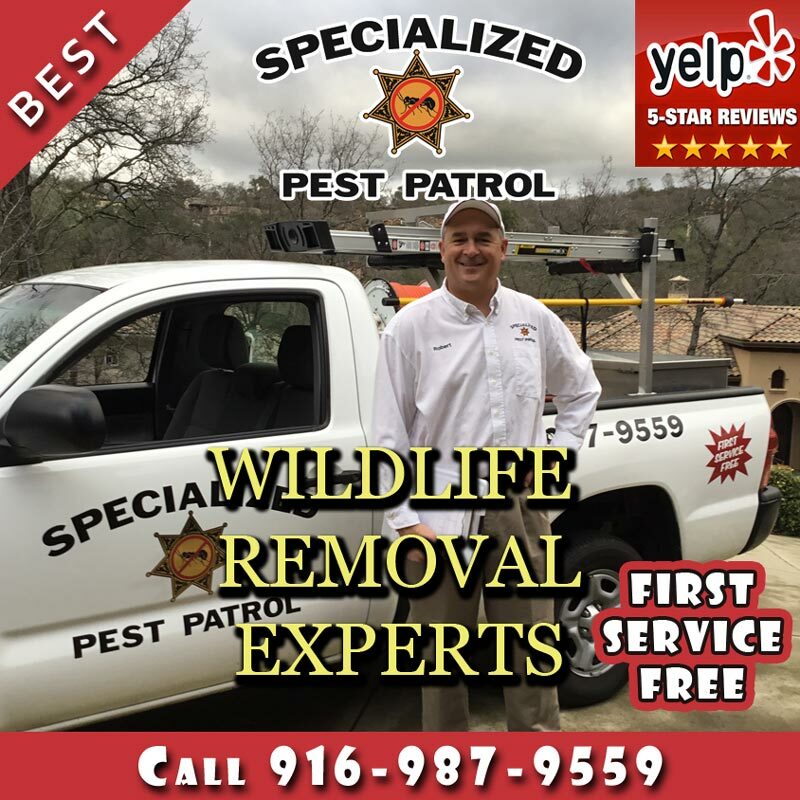 Specialized Pest Patrol provides various pest control and wildelife removal services in Sacramento to protect your home and business with a 100% guaruntee. Pest Control Sacramento Company Specialized Pest Patrol is the premiere pest control company. 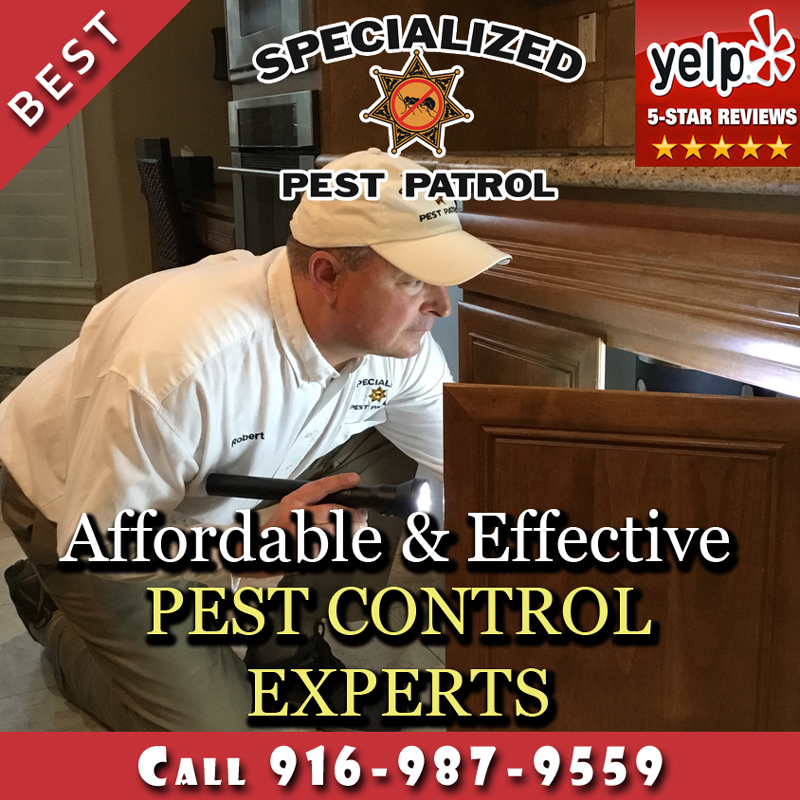 Whether you need help treating insects, rodents or even wildlife, Specialized Pest Patrol is so confident about our service that we offer our first pest control visit free. 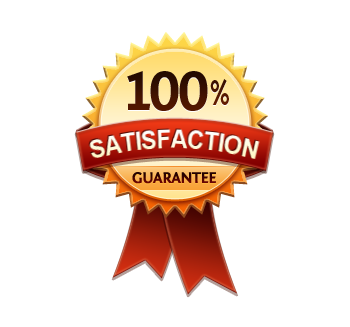 What other pest control company in Sacramento can make that promise? Specialized Pest Patrol is the top ant control company in Sacramento! Our ant control methods cost-effectively remove ants from your home or business similar to what’s shown in the video below. As Sacramento’s Best Pest Control Company, we treat your home, or office, just as we would our own. We use only state-of-the-art, hospital-grade chemical formulations that are safe for your children, pets and the environment. Safety is our first priority, and you should expect nothing less from any Sacramento pest control company. Specialized Pest Patrol provides superior service, both inside and out, and we promise, as your chosen Sacramento pest control company, to protect your home or office from crawling, flying or walking pests. We provide thorough preparation guidelines that help ensure we control pest, rodent and wildlife intruders. No other pest control company in Sacramento cares as much as Specialized Pest Patrol. Our expert pest control technicians have received years of intensive training and use advanced technology to effectively perform pest control and wildlife removal services. Every one of Specialized Pest Patrol pest control tech’s has a minimum of 7 years of field experience with our pest control company. 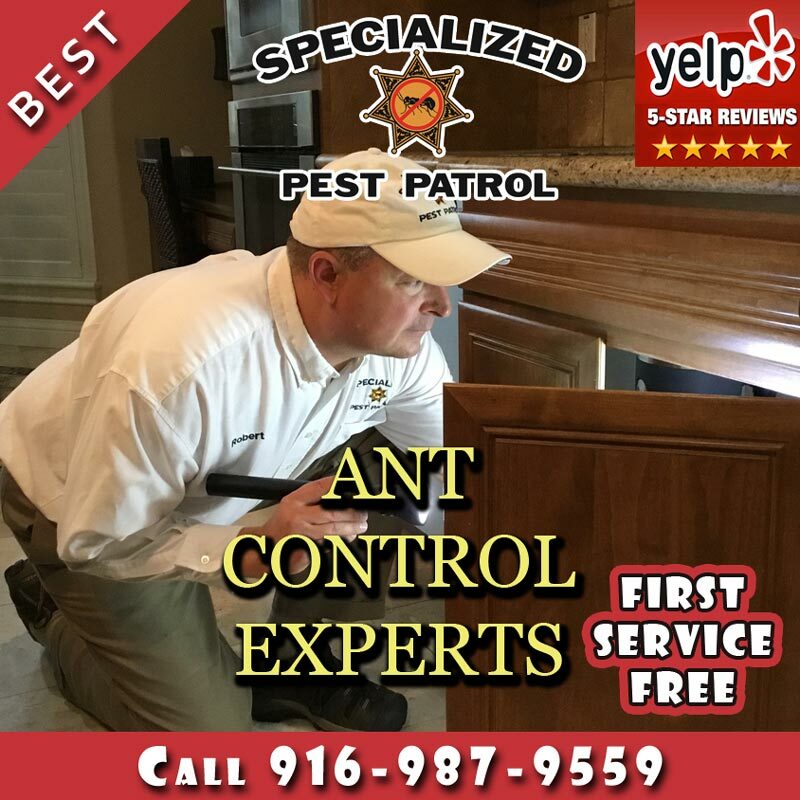 Pest Control Sacramento Company Specialized Pest Patrol provides the best in pest control services at affordable pricing by our licensed and insured exterminators. We provide professional and effective pest control services in Sacramento for homeowners and businesses alike. In addition, if you’re looking for Wildlife Control, we here at Specialized Pest Patrol can help you with that as well with our veteran Wildlife trapper who has over 20 years of experience. Specialized Pest Patrol is a family owned and operated business that has offered a variety of pest control and wildlife control services for the many pests we have in Sacramento. We’ve been serving Sacramento for over two decades with the most affordable and effective pest control services you can find. Specialized Pest Patrol performed rodent control in Sacramento within the Mack Road neighborhood recently and the customer rated our service 5/5. Specialized Pest Patrol performed earwig control in Sacramento within the Del Paso Heights neighborhood recently and the customer rated our service 5/5. 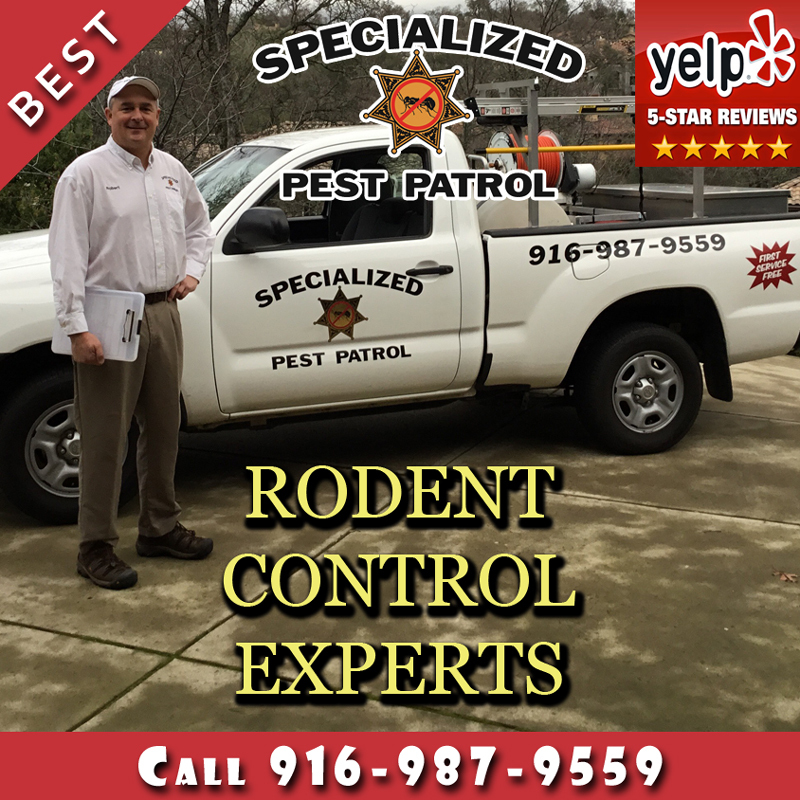 Specialized Pest Patrol performed rodent control in Sacramento within the Bowling Green neighborhood recently and the customer rated our service 5/5. Pest Control Company Specialized Pest Patrol is the top tick control company in Sacramento! Our tick control methods safely and effectively remove tick infestations which can cause discomfort and injury like shown in the video below. Where Can I Find Quality Affordable Pest Control in Sacramento? Get Rodent Control locally near you in Sacramento, CA. Get Rodent Exclusion locally near you in Sacramento, CA. Get Ant Control locally near you in Sacramento, CA. Get Scorpion Control locally near you in Sacramento, CA. Get Cockroach Control locally near you in Sacramento, CA. Get Earwig Control locally near you in Sacramento, CA. Get Fire Ant Control locally near you in Sacramento, CA. Get House Centipede Removal locally near you in Sacramento, CA. Get Pantry Moth Control locally near you in Sacramento, CA. Get Spider Removal and Spider Pest Control locally near you in Sacramento, CA. Get Tick Control locally near you in Sacramento, CA. Get Wasp Removal, Wasp Control and Wasp Nest Control locally near you in Sacramento, CA. Get Wildlife Removal locally near you in Sacramento, CA. Sacramento has many residential properties, commercial businesses and lots of pests such as wasps, rodents, cockroaches, skunks and ants. 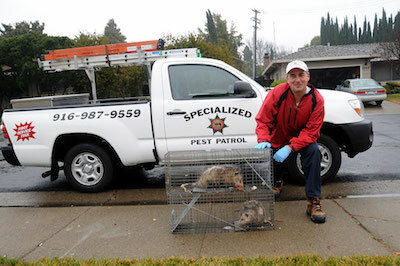 Pest Control Sacramento Company Specialized Pest Patrol takes care of your pest and wildlife nuisance problems for good. 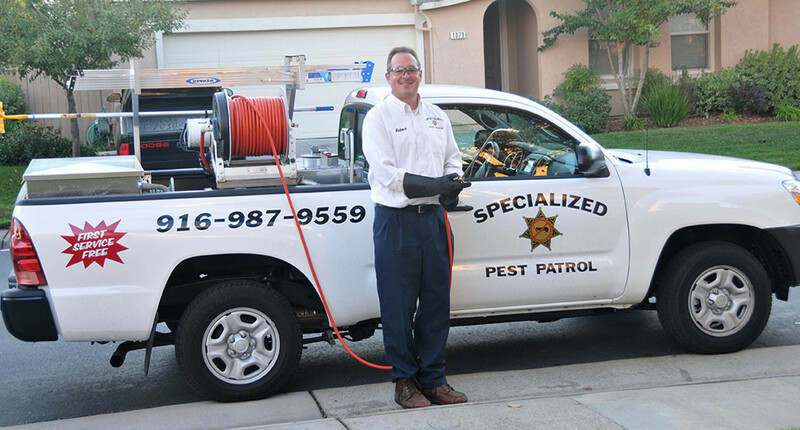 Specialized Pest Patrol of Sacramento has been perfuming effective pest control and wildlife removal since 1994. Our extremely effective pest control methods and procedures gives our customers complete peace of mind and our rates are highly affordable and effective. "Specialized Pest Patrol is far the best pest control company I've ever dealt with. They are very thorough and when they spray,"they spray." We had an ant problem before we called on them and I can honestly say, I haven't seen 1 ant in the house since we hired their service. They are also very friendly and informative. They call before every service reminding us to keep our pets inside during spraying etc. My wife and I could not be happier with their work ethic. I recommend their service to all of my friends." "I have utilitzed Specialized Pest Patrol at home and I am very satisfied with their work. They are friendly and easy to work with. Their chemicals are safe to use around my animals and they are very good about scheduling appointments around my schedule. I work for a real estate company and we use them to spray some of homes before we put them on the market. I would highly recommend using their services." 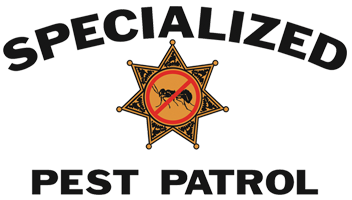 "Specialized Pest Patrol is great. Gina is always responsive, very helpful and very cheerful when she answers the phones. They do a great service for our company and our tenants. I always go to Specialized first for any pest control services we need. They just have all around good service and its hard to find that these days. I have also recommended this company to personal contacts as well." Specialized Pest Patrol is insured and licensed to perform Pest Control in Sacramento, Folsom, Roseville and all the locations we serve. Our pest control license number is 5745. All our pest control technicians have expert knowledge and experience in addition to thorough background and regular drug tests to ensure the safety of our customers. Structural Pest Control Board License #12145 Qualified Pesticide Applicator License #126071 Licensed, bonded, liability insurance and workers compensation insurance provided.